The high-speed ferry known as The Cat sits at the Ocean Gateway Terminal in Portland in this June 2016 file photo. Bay Ferries, owner of the Cat, has signed a five-year lease to operate out of Bar Harbor and plans to begin offering round-trip service to Yarmouth, Nova Scotia, in June. BAR HARBOR, Maine -- 02/27/19 -- In planning documents filed at the Bar Harbor town office, Bay Ferries says it plans to spend roughly $3.5 million to renovate the idle ferry terminal on Route 3, including the interior of the former customs building, so that it can begin ferry service to Nova Scotia by late June. The Bar Harbor planning board on Wednesday gave approval to the resumption of ferry service to Canada from an idle terminal on Route 3, as a Canadian ferry company looks to start service this summer. The board’s conditional approval, which depends on the firm Bay Ferries securing needed permits from agencies such as the U.S. Army Corps of Engineers and the state Department of Environmental Protection, is the latest in a series of steps that are expected to restore ferry service between Nova Scotia and Bar Harbor for the first time since 2009. The town of Bar Harbor, which for a couple of years has been looking to acquire the seven-acre shorefront parcel with the ferry terminal, completed its purchase of the property from the state on Jan. 31, according to Town Manager Cornell Knight. On Feb. 19, the town signed a five-year lease with Atlantic Fleet Services, which is contracted to run Bay Ferries’ shoreside operations in Maine, on roughly half of the property. The lease guarantees minimum payments totaling $1 million for the five-year term of the lease, with higher payments possible depending on the volume of passengers and vehicles the ferry carries. According to paperwork filed at the Bar Harbor town office, Bay Ferries expects to spend approximately $3.5 million on renovating the the part of the parcel it is leasing from the town. It will use the existing customs building, though it plans to extensively renovate the inside of the building. There will be no fuel storage on the site, with the exception of a couple of propane tanks for heating the building. Bay Ferries CEO Mark MacDonald said the company is involved in an “ongoing approvals process” with U.S. Customs and Border Protection over improvements to the building where customs staff will vet arriving passengers who disembark from the ferry. He declined to comment on cost estimates for renovating the building. 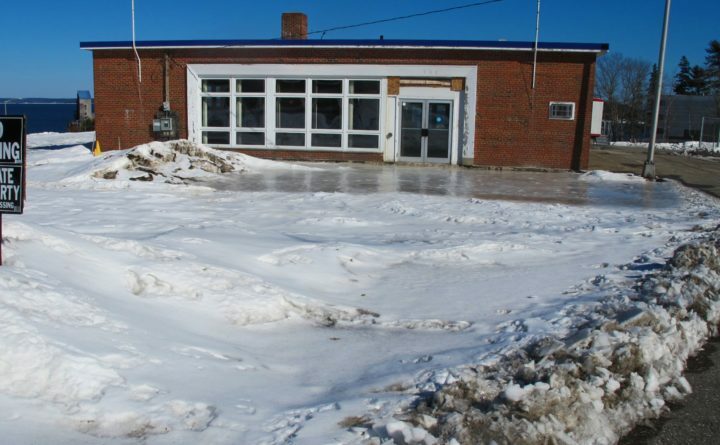 The town has not decided what it will do with the other half of the property, but ideas that have been considered include developing a municipal boat launch and marina, public parking, docking for cruise ship tenders and a commercial fishing pier. Bay Ferries, a Canadian firm whose operations are subsidized by the provincial government of Nova Scotia, this week began accepting reservations for the 106-mile trip across the Gulf of Maine and plans to start operations from Bar Harbor on June 21. The ferry is expected to appear in Bar Harbor around midday each day and spend each evening docked in Nova Scotia. The ferry company’s return to Bar Harbor, nearly 10 years after it left town, comes after it operated between Portland and Nova Scotia from 2016 through last year. Bay Ferries had an option for another year on a lease it held on the Ocean Gateway terminal in Portland, but decided not to exercise that option, MacDonald has said. The company’s lease in Portland expired at the end of December. 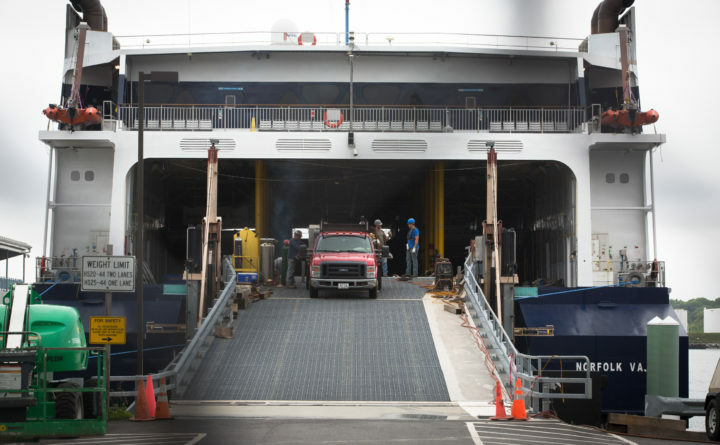 The operating costs for U.S. Customs and Border Protection at the Portland terminal, and what portion the ferry company was to pay, threatened to prevent Bay Ferries’ service in Portland last year. After initially requiring up to $7 million in upgrades to the city’s terminal, the federal agency later agreed that $1.5 million to $2 million in upgrades would be sufficient. Bay Ferries and the provincial government of Nova Scotia ended up paying for the improvements.